Semi-automatic Archives - Make Coffee You Love! Be your own barista with a semi-automatic espresso machine. Learn how to brew, froth or clean up! 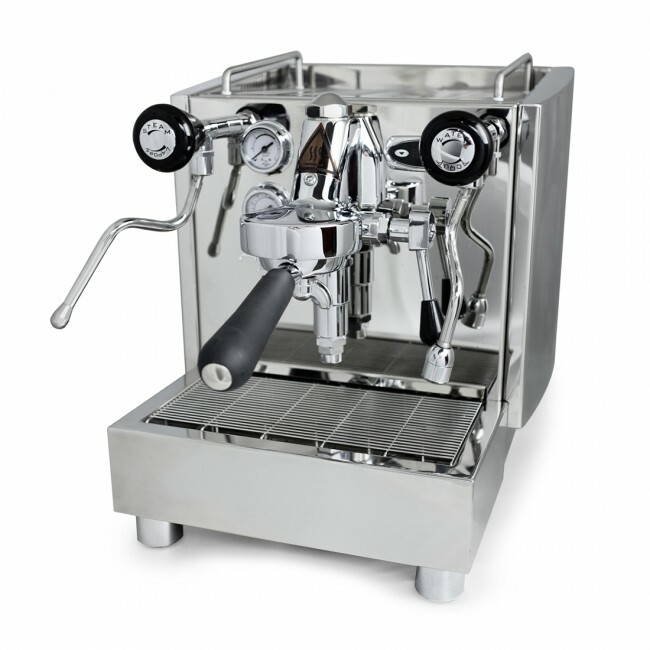 The Barista Express has been the gold standard for new home baristas for years now. By combining a quality espresso grinder with solid brewing and steaming, Breville build a winner in the Express. It has always been an easy machine to recommend as a first purchase, or upgrade from a cheaper, less powerful brewer. So how does the new Barista Pro stack up? Is it just a higher price tag with a fancier face? The short answer is no, the long answer is a lot more interesting. The Barista Pro features a completely redesigned case that maintains a similar footprint as the Express, but with a totally different look. Most recognizable is the addition of a backlit screen, somewhat similar to the Barista Touch. This screen provides information about grind fineness, amount, and timers. Keeping all of this on one screen makes dialing in the machine a little friendlier. Rather than track numbers in different places, you can review everything about the grind settings at a glance. The screen also offers a shot timer, a huge boon for any machine. Measuring shot time is key to pulling a good shot, so having this information visible on the main display is a great feature. Otherwise, the visual design and controls are on par with that of the express. This machine is simple to operate with intuitive controls for pulling shots, adjusting the grinder, and steaming milk or adding hot water. All of this combines for a design package that is a step up from the Barista Express. That said, if these visual improvements were all this machine offered it'd be a hard sell given the price difference. Thankfully, there's a lot more under the hood in this new model. Breville has always had a knack for fitting powerful heating systems into affordable machines. The Barista line has always been a great example of this, but their new machines push this concept even further. First introduced in the Bambino, the Barista Pro features Breville's new ThermoJet heating system. The Bambino already impressed with its heatup and steam times, but getting this enhanced heating element in a more prosumer machine is exciting. From lightning fast heatup times to a near non-existent delay going from brew to steam, this heating system does work. When dialing in, we were able to pull several shots in a row with the Pro heating up. As far as making lattes, the milk steaming both switched on faster, and steamed milk faster than the Express by a considerable margin. Another interesting upgrade on this machine is the hot water spout. This spout functions like you'd expect, but it's angled to allow you to make Americanos without moving your cup. Some of this depends on your cup size and design, and it is surprising to see the hot water come out at an angle at first. While this isn't nearly the overhaul that the heating element and look got, it's worth mentioning for even easier Americanos! Overall it's extremely easy to recommend the Barista Pro. It's true that its price pushes into competition with machines like the Silvia and CC1, but those machines don't also have a built in grinder. There is certainly an argument for being able to upgrade these devices independently, and both of the aforementioned machines are viable options, but if you're new to espresso or looking to upgrade from the Express, the Pro is a no brainer. You do still run into the combo machine issue of sludge in the drip tray, and stepping up into dual boiler machines will provide even faster steam and heatup times. With all that said, we're huge fans of the Barista Pro here, and you should absolutely add it to the list of machines to research before you make your next purchase. Check out the Barista Pro on Seattle Coffee Gear here! This entry was posted in Grinders, Semi-automatic, Gear Guides on April 8, 2019 by Pat Cotter. It’s that time of year again! Leaves are falling, the air is getting cool and crisp, and Summer is well and truly in the rear view mirror. All of this means that we have plenty to share about our favorite machines for 2018! Today we’re taking a look at SCG’s top espresso machines of 2018! We focused on picking the best buys of the year, not limiting the list to machines that came out this year. Chances are that if you’re a coffee enthusiast, you’ve seen a machine from Rancilio. From stalwart commercial machines to no-frills home machines, Rancilio earns its reputation. The Silvia is no exception! For starters, many of the Silvia’s features are inspired by its commercial siblings, but adapted for the smaller form factor. The controls are also extremely easy to use. Simple on/off switches control extraction and steaming, with clear indicator lights to tell you when something’s not right. All of this combines with excellent construction and component quality to produce a solid machine. The Silvia doesn’t have the bells and whistles of some higher dollar machines. It also doesn’t have the boiler capacity of machines above its price bracket. It makes up for this with usability and reliability. New this year is a stylish black powder coat over the stainless steel frame. The classic stainless Silvia is still a nice looking machine, but the black may fit better in your kitchen, and we love how it looks. The Silvia is the perfect machine for someone upgrading from an entry level brewer or looking to spend a little extra on their first machine! If you’re a regular reader of our blog, you know that we’re big fans of this machine. 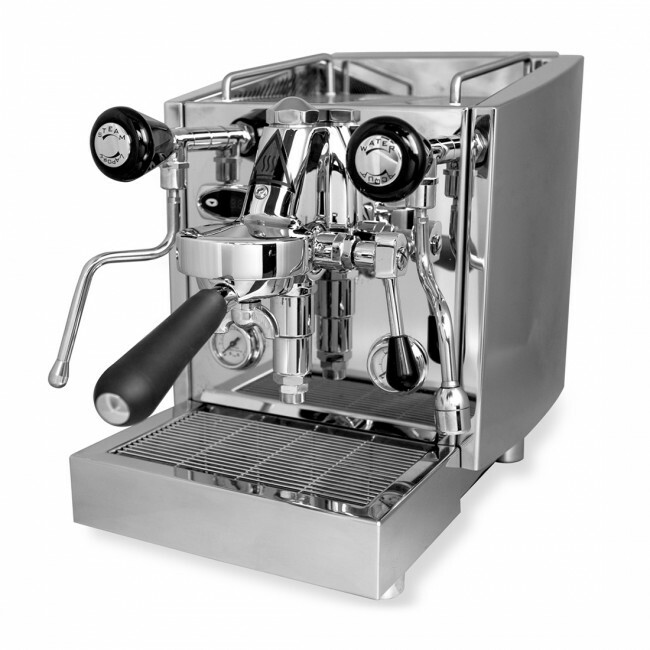 The Saeco Xelsis is an update to a classic machine that well outperforms the previous model. We’ve said it before, but the programmability, milk quality, and ergonomics of this machine punch above their weight. It’s an excellent superautomatic in its price bracket. The control options in the Xelsis are more varied than most other superautos. This means you get to change things like milk texture, flavor, strength, and so much more with the slide of a finger. Additionally, while the shots from the Xelsis are on par with any of its competitors, the milk is the real star. The hygiesteam system froths milk with quality that’s not easy to achieve from a device of this nature. That system, plus Saeco’s tried and tested AquaClean water filtration, make maintaining the Xelsis easy. It’s great machine wether it’s your first superauto, or an upgrade. We don’t have too much to say about this machine that we haven’t already. Between the Appartamento’s stellar looks, excellent build quality, and capable components, this is simply one of the most successful home espresso machines that we offer. The first thing you’ll likely notice is its looks. 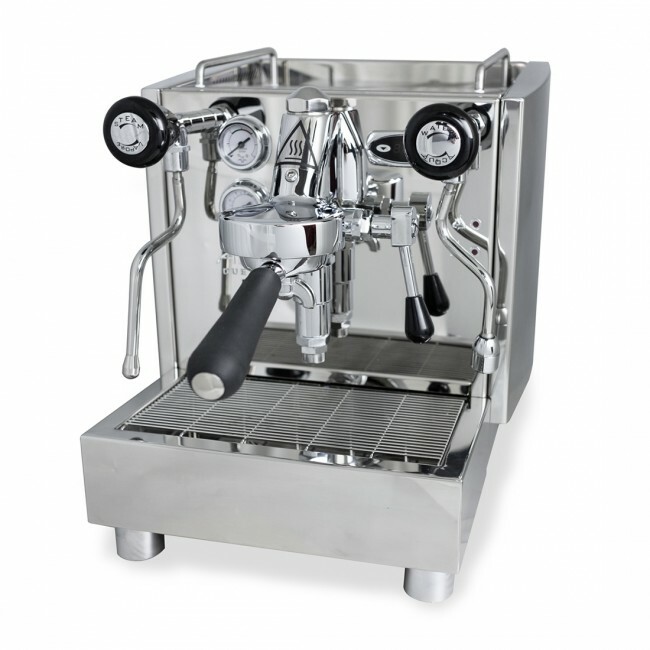 This machine shines with its beautiful stainless steel casing and tactile controls. These controls give you the ability to make fine adjustments to your brewing process. They also help you “feel” every aspect of pulling the shot and steaming your milk. This gives you a great sense of the science behind your brewing. It wouldn’t be one of our favorites though if wasn’t also high performing. The Appartamento features a 1.8 liter heat exchange boiler, this will allow you to steam milk and brew shots at the same time, something that’s hard to find in machines at this price point. The heated E-61 group also keeps water temps and extraction even through the brewing process. To top it off, the build quality of the Appartamento is extremely solid. In the end it’s a fine machine for someone ready to buy a machine they’ll hold onto for a very long time. Check out the video version of this piece, where I discuss these picks in our studio! Stay tuned for even more best of 2018s, coming very soon! This entry was posted in Semi-automatic, Superautomatic, Gear Guides on November 5, 2018 by Pat Cotter. This entry was posted in Coffee & Tea, Semi-automatic, SCG News on June 27, 2018 by Pat Cotter. The Rocket Espresso R58 - Il Centesimo Giro d'Italia Edition featuring custom pink dials, commemorative engraving, and an individually numbered face plate. What does it take to pull the perfect shot of espresso? Patience. Expertise. Precision. Diligence. A deep understanding of your materials. The list goes on with different preparation techniques from person to person informing your perspective. Espresso aficionados alike strive for that euphoric moment of perfection – a demitasse cup of liquid gold. While many tools exist to get you there, a select few reign supreme. The Rocket Espresso R58 Il Centesimo Giro d'Italia Edition stands at the peak of its class. A reflection of espresso and cycling mastery, the R58 Centesimo is a commemoration of 100 years of Italian Bike Touring excellence. The second of the famed 'European Grand Tour', The Giro d'Italia follows a route over 2,200 miles long circumventing Italy in a 23-day race. This centennial achievement is memorialized in this limited edition R58. Each R58 Centesimo sports the names of Giro d'Italia's champions (including 2017s Tom Dumoulin), custom side panels, maglia rosa-themed gauges and matching accessories. Much like a champion cyclist, you'll find the R58—with its classic dual boiler E61 setup, removable PID controls, and optional plumbing—a prime contender for creating some of the best espresso you've ever had. Limited to a run of 100 machines worldwide to echo the 100 winners of the race, each R58 Centesimo is individually numbered to reflect it’s place it this one of a kind collection. Only 9 are available in the United States exclusively at Seattle Coffee Gear. Reflecting a cyclist's wheel, each R58 Centesimo features custom engraving of every Giro d'Italia champion. Founded in 1909, the original Giro d’Italia was organized as a means to raise funds for the La Gazzetta dello Sport – an Italian publication covering various sports and the most widely read daily newspaper in Italy. The race is held annually during late May and early June, except for two breaks during World War 1 and 2. The Giro d’Italia is one of three races that make up the ‘European Grand Tour’ – the Tour de France and Vuetla a España complete the trifecta. Professional road bicycle racer Tom Dumoulin won the 100th race – becoming the first Dutch rider to win the race. The one of a kind R58 Centesimo stands above the rest. Italian cycling history comes together with Milan-made espresso machine mastery featuring custom pink dials, packaging, tamper, and engraved side panels celebrating past winners of the Giro d’Italia. Manufactured in Milan and limited to 100 machines. Only 9 exist in the United States and are individually numbered with a custom front face plant. PID-Controlled Double Boiler allowing for superior control of steam and brew boiler temperatures. PID controller is detachable. Plumb in adaptability; hosing included. Classic E61 Group providing thermal stability at the head of the machine. Insulated Steam Wand allowing for barista-quality steaming ability without the risk of burning your hands. What does Gail think? Check it out! Don’t miss this opportunity to own a piece of Bicycle racing and espresso history. Buy your one of a kind machine here! This entry was posted in Articles, Coffee Makers, Semi-automatic and tagged espresso, Rocket, Semi-Automatic, giro d'italia, scg exlusive, rocket r58 on September 18, 2017 by Ben Schuyler. It’s a frustrating question that has plagued many a coffee aficionado throughout the years: why doesn’t the cappuccino I make at home taste as delicious as the cappuccino I buy from my local coffee shop? The answer to that question can be found by addressing a diverse set of material related variables from the freshness of your beans, to the quality and calibration of your grinder, to the pressure at which you are extracting your espresso. Maybe your machine hasn’t been cleaned? Maybe it wasn’t properly rinsed after cleaning? But what about when you’ve covered all of the variables and you’re still not getting the results you are hoping for? Then it’s time to look at your technique! That’s where illy’s “Be Your Own Barista” course came in to play. Meant to empower coffee lovers who wanted to take their home coffee preparation to the next level, this class held at our Bellevue location provided participants with the opportunity to train hands-on with Giorgio Milos – illy Master Barista and Italian Barista Champion. Equipped with all of the tools needed to produce great coffee at home, fourteen students discussed coffee history, learned tips and tricks to consider when preparing their beverages, and were released to put their new knowledge to the test while illy’s education team helped fine tune their technique. “I never knew I could make espresso that tastes this good,” shared a participant frustrated with the past drinks she had been making at home. It was a matter of making small corrections to her grinder as well as changing her tamping that helped her produce a cleaner, fuller bodied drink. Many attendees took notes on the discussions while others asked technical questions they had been investigating for months. This entry was posted in Coffee & Tea, Semi-automatic and tagged coffee, espresso, how-to, illy, Events, Semi-Automatic, education, Classes on August 22, 2017 by Ben Schuyler. This entry was posted in Semi-automatic on January 5, 2017 by Felicia Kloewer. Basic gets a whole new definition with the Ascaso Basic Espresso Machine! Sure, it’s simple design and easy to use controls are the fundamentals, but this little machine comes with more accessories for budding baristas to grow their technique; the Basic includes both non-pressurized, pressurized and pod baskets to adapt to anyone’s barista skills. With the crowd favorite Saeco Via Venezia discontinued, the Basic swoops in to take its place as the new affordable, user-friendly machine. If you’re a new barista looking for an entry-level semi-automatic espresso machine, the Basic fills in the right price point for the amount of features packed in this little machine. This entry was posted in Semi-automatic on January 2, 2017 by Felicia Kloewer. There is couple hundred dollars difference the Breville Infuser and Crossland CC1 and there’s a good reason for the jump. Both semi-automatic espresso machines feature a programmable PID and timed espresso shots. Both have a traditional steam wand. Both are fantastic homes machines. But the CC1 rocks a single boiler and thermoblock-enhanced steam and a digital interface featuring more programming. 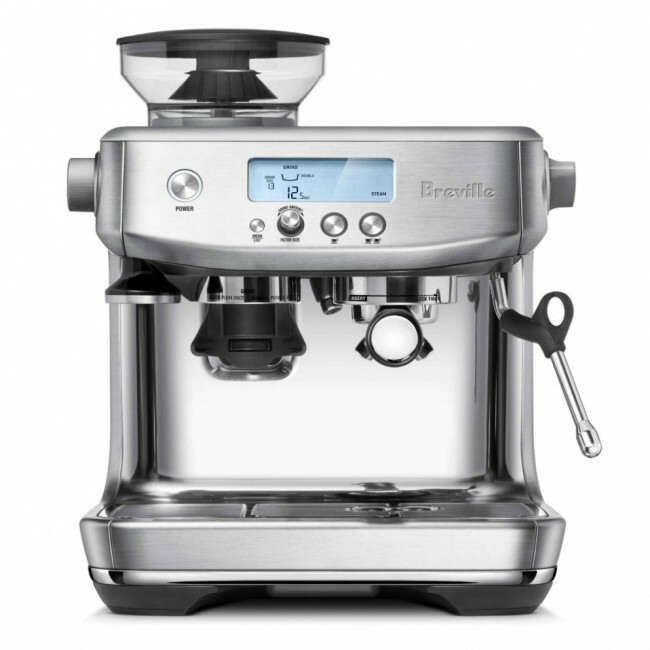 Between these espresso machines, the Infuser boasts fame from Breville’s consumer-centric design and some extra goodies to make your home coffee experience easy. Heads up! We recently compared the Crossland Coffee CC1 and Breville Barista Express, so this might feel like a recap. If you haven’t checked that out yet, there isn’t a huge difference between the Infuser and Barista Express. Really the most notable change is the Barista Express has a built-in grinder. Back to the Infuser! Check out this comparison of the Infuser and CC1 and find out which machine is right for you. Built by coffee geek Bill Crossland, the Crossland CC1 has all the personality you’d expect from, well, a coffee geek! The innovative interface programs the espresso shot time, pre-infusion and wait time between pre-infusion and brew. The PID allows you to adjust the boiler—remember it’s a single boiler—for the ideal brew temperature. Best of all, you can set up three profiles with each of the listed features and that includes the CC1 remembering different brew temperatures—a feature you don’t find on most machines! The Crossland Coffee CC1 features a programmable PID and three espresso profiles. On the other hand, Breville Infuser is built with the kind of convenience casual coffee drinkers adore. Built-in pre-infusion optimizes coffee extraction—and keeps it easy for you—while the two programmable espresso buttons let you set the right shot time. But the Infuser doesn’t have individual profiles like the CC1. The brew temperature is set for the whole machine, which is easier for some baristas to manage, but less customizable. The Breville Infuser features two programmable buttons and internal PID. You’ve probably heard the differences between single boilers and thermoblocks. If you're new to this topic, it’s definitely something to think about when purchasing your first or next espresso machine. The Crossland CC1 is outfitted with a single boiler while the Breville Infuser (like the Barista Express) has a thermocoil, a version of the thermoblock. A single boiler heats the entire boiler up to brew or steam temperature, which creates consistent brew temperatures and pressure. But that also means a single boiler takes longer to warm up. We recommend giving it a good 30 minutes to heat. A thermoblock heats water the spot to reduce the wait time and also the cost of the machine. The only catch is thermoblocks tend to have less temperature stability. While the CC1 only uses the boiler for brewing, it has a trick for steaming—a thermoblock! With an extra helping hand, steam temperature and pressure are quickly reached. Between these two machines, the CC1 definitely brought the steam! That didn't surprise us either since typically single boilers produce more steam power over thermoblocks. Thanks to the thermoblock, the CC1 gets up to steam temperature quicker. One common quality these semi-automatics share are both can’t steam and brew at the same time. Even though the Crossland CC1 has a thermoblock, the boiler will still climb to steam temperature. So what do you do? On machines like the CC1, you’ll have to use a technique called “temperature surfing” to purge water through the steam wand to the boiler back to brewing. But that’s no problem for machines like the Infuser! Breville built in an auto-purge feature to cool the boiler for you! The Infuser uses a turn style knob for steam or hot water. The Crossland CC1 flaunts a digital display that makes setting everything from the setting the PID a no-brainer. The extra large screen awakens sleepy eyes, so you’re ready to select your daily brew. With this machine, brewing is handled through the digital interface, so you really are selecting your brew! There are some pre-factory settings, but we recommend setting up at least one profile for your favorite coffee. While the Infuser doesn’t show off programming on a digital display, it does feature a helpful pressure gauge. You might have noticed the pressure gauge on the front of your machine fluctuates at you brew. The pressure gauge is there to tell baristas what’s happening inside of the boiler. If you ever noticed your coffee isn’t to your standards, watch the gauge and see what it’s doing. Is the needle hitting the espresso range? If not, you might need to adjust your grinder setting finer. Experiment with it and above all else, taste the espresso first to help make the right changes! The Infuser features stainless steel buttons and a pressure gauge on the interface. The Breville Infuser is designed with extra bells and whistles to make this machine usable to everyone! If you’re new to espresso, the Infuser has pressurized baskets to assist pulling a delicious shot. But it also comes with non-pressurized baskets, like the Crossland CC, to grow with budding baristas. Lastly, it has a dosing razor for the portafilter and magnetic tamper built in the machine to make brewing a breeze. On that note, the CC1 is built for advanced brewing. It boasts an industry-standard 58mm non-pressurized portafilter and hefty single boiler that makes powerful steam pressure. There’s no assisted portafilter here. But that doesn’t mean willing newbies can’t take it for a spin! The intuitive display and a little barista know-how make it effortless for anyone to try. The CC1 comes with a industry standard 58mm non-pressurized portafilter. Are you deciding between the Crossland CC1 and Breville Infuser? Tell us which one you would choose in the comments below! If you have one at your home, share how it’s working out for you. This entry was posted in Semi-automatic on November 3, 2016 by Felicia Kloewer.